If you don’t want your OS to ask for password every time you log on to your system then you can disable this feature. 1) Click Start menu button and type control userpasswords2 in the search box and press Enter key as shown below. So, what if we are running a group policy that not only disables the run line, but the search field and the Windows+X hotkeys? 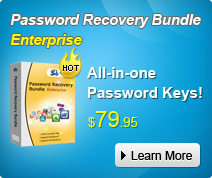 Do you know of a way to break the auto-logon cycle before the logon? In our environment, with the option you have listed here, there’s no way to log in as admin without either remote regedit or a 3rd party software. I consider neither of those to be a realisitc work around. In previous versions of Winows (XP and earlier) holding the shift key would halt auto-logon. Since Vista, this is no longer the case. It is also a function MIcorsoft seems unwilling or unable to return.